Lucy has a terrible and painful tumor. Her family has paid what they can toward her surgery, but Lucy still needs your help to pay for her surgery! Lucy is in severe pain and shakes from the pain and they desperately want to help her. Dream Fetchers could not say no to help this sweet dog Lucy. The family has already paid $300.00 so only $800.00 still needs to be raised. Lucy’s surgery is scheduled for Monday. The Juarez family loves Lucy with all of their hearts. But they suffered with a long time lay off, having to move from the home they called home with their 4 children for many years, so they reached out to Suzette Hall with Dream Fetchers Project Rescue for help. Lucy is 13 , full of life and full of love. She loves everyone she meets, full of kisses and hugs to. Lucy needs our help, in her old age she developed a mammary tumor, it is very painful and her family is devastated. They love her so much and have had her , her entire life. Her human brother is off at college and they both are missing each other. Her family really wants to reunite them for spring break when new comes home for a visit. Lucy needs this surgery for this to happen. Her tumor can be removed and she can have a happy remainder of her life. She is loved so much , the way every dog was meant to be loved. 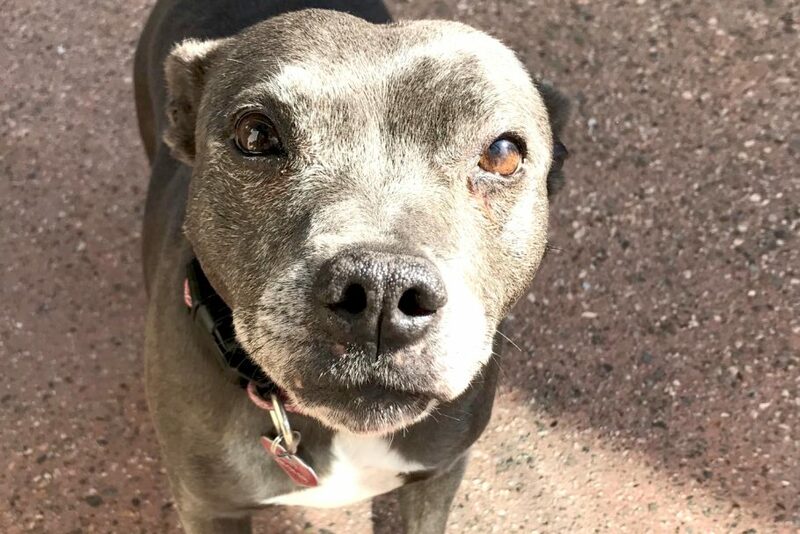 Let’s help her get this surgery and make this amazing reunion happen for Lucy and her human brother.